By booking your Air Mauritius flight with SouthAfrica.TO you qualify to earn flight discount vouchers to reduce fares more! Simply email a writeup of your Air Mauritius flight to cheapflights@southafrica.to and we'll send you vouchers in accordance with the quality of the writeup (tip: send photos for bigger vouchers). Want a package deal? Navigate to our cheap Mauritius holidays page. Free flight assistance - SouthAfrica.TO travel agents are itching to help you! Based in Port Louis, Air Mauritius offers South Africans easy access to the honeymooner's paradise. It is one of only 2 international carriers which operates flights from all of Johannesburg, Durban and Cape Town (the other is Emirates). Air Mauritius is 8.5% owned by Air France. Use the flight bookings tool on the left to check airfares. 12-11-2018: The airline announced late last week that they are cancelling their route to Wuhan, China. The route only launched on the 11th of August 2018, but had to be nixed as the airline continues route rationalisation. Affected passengers will be rerouted on other airlines. 29-09-2018: The airline announced today that their flights to Bangkok will be suspended effective from the 31st of October 2018, when it was due to start. More details will be released in due time. 16-08-2018: The small island airline is expanding their route network and has just introduced flights from Mauritius to Wuhan, China. The weekly flight MK690 departs Mauritius on Saturdays at 09h20 and arrives in Wuhan at 00h10 the next day. Flight MK691 departs Wuhan on Sundays. In addition to this route, Air Mauritius also just announced flights to Bangkok which will launch in November 2018. 2016-02-25: Air Mauritius announced yesterday that they are planning on launching a regional African airline that will operate flights between Africa and Asia. "The new regional airline will be established as a subsidiary of Air Mauritius and will increase the Air Mauritius network, adding an additional 8 points in the African region," said Carla da Silva, regional manager of Air Mauritius. 2014-07-15 The astonishing two year turnaround of Air Mauritius has been rewarded rather handsomely. Only two years ago the airline was struggling with financial losses and poor customer service ratings. They decided to sack the CEO and appoint someone new. Along with a new CEO came a top notch team of experienced men and women who had a plan to turn the airline around. They were recently rewarded for their efforts by Skytrax who officially awarded them a 4 star airline status. This puts Air Mauritius in the same league as Emirates and British Airways who are both also 4 Star Airlines. Well done to Air Mauritius on this achievement. We hope you keep on growing and moving the Southern African aviation industry forward. 2014-03-01 Air Mauritius's era of profitability continues, with passenger numbers up 4% and a 3.1m Euro profit posted for the 1st nine months of its 2014 financial year. On the downside, cabin load factors fell from 81% to 79%. The airline has been led back into the black ink by the ex CEO of SAA, Andre Viljoen. 2013-11-14 Air Mauritius increases Passenger Numbers: Air Mauritius has increased its passenger numbers by 6.8% from 318,077 in the quarter ended Sep 2012 to 339,688 in the quarter ended Sep 2013, with seats offered increasing by 4.2% (it added a flight to Beijing in July 2013)." 2013-06-14 Air Mauritius returns to Profitability : Air Mauritius has reported a profit of 2.3m Euros before tax for its 2013 financial year. Andre Viljoen, CEO of Air Mauritius said that "The results showed clearly that we are on the right track with our 7-step plan." Air Mauritius offers direct flights from Cape Town, Durban & Johannesburg to Mauritius. On 27 June 2014 a new flight schedule is being introduced for flights to Mauritius from Johannesburg, Durban and Cape Town. From 1 June 2013 to 25 June 2013, and 8 October 2013 to 26 October 2013 Air Mauritius is reducing its CPT-MRU service to 2 flights a week, and switching from an Airbus A319 to an Airbus A340-300. From November 2012 Air Mauritius is increasing its frequency of Cape Town - Mauritius flights from 2 to 3 a week. 22 May 2015. Air Maritius is cancelling their morning flights out of Johannesburg from the 21st of August 2015. Storing the plane overnight has proven to be costly and they haven't seen the returns they expected. AIr Mauritius will be operating wide-bodied planes on Tuesdays, Thursdays, Saturdays and Sundays to compensate for the reduced flights. 1 May 2013. Air Mauritius is reducing its flight service from JNB to MRU from 10 to 7 flights a week, cancelling the night service. 7 March 2012. Air Mauritius has indicated that it will introduce double-daily flights from Johannesburg to Mauritius, to compensate for the loss of Durban to Mauritius flights. A date for the additional JNB-Mauritius flights is yet to be announced, but it appears it will be timed for peak holiday season. 5 July 2013. Air Mauritius resumes flights from Durban to Mauritius. “Our value propositions encompassing incentive agreements, committed seats and Travel Smart will be applicable to further assist our partners in helping us boost this route so that we can maintain it. We will be working closely with our partners at ACSA and government to ensure further synergies are also attained," said Air Mauritius's Regional Manager for South Africa, Ms Carla da Silva. Flights are to be flown in an Airbus A319 on Fridays & Sundays, and are scheduled to leave Durban at 12h10 and land in Mauritius at 18h00. On 29 August 2012, Air Mauritius announced that it'll be flying to & from Durban from 21 December 2012 until 13 January 2013. Effective 26 October 2012, Air Mauritius Durban flights are via Johannesburg: “Having reviewed Johannesburg, Cape Town and Durban, it makes more economic sense to focus on the commercial powerhouse of South Africa, being Gauteng, for future growth prospects. We have provided all our venerated stakeholders with advanced warning, and plans are already in motion to accommodate forward bookings. These are to be re-booked on to an alternative Air Mauritius flight to the passengers’ final destinations at no extra cost, provided the itinerary was issued on a single ticket.” said the Regional Manager Southern Africa and Latin America of Air Mauritius, Carla da Silva. 23 May 2016. Air Mauritius and Emirates Airlines passengers can now earn and redeem miles on both carriers. This means that members of Kestrelflyer, Air Mauritius' Rewards Programme, can now also earn and redeem miles on Emirates flights. 24 July 2016. From the 12th of July 2016, Air Mauritius will operate flights to Guangzhou, China. “The launch of the new route in China is in line with our vision of connecting Africa with Asia,” Air Mauritius said in a statement. Flights on this route start from R8500* and includes a free stop-over in Mauritius with accommodation, transfers and selected meals. 23 July 2016. Air Mauritius are introducing weekly flights from Mauritius to Tanzania. The Mauritius-Dar es Salaam-Nairobi flight brings Air Mauritius' total flights to Africa per week to 26. These Friday flights brings Air Mauritius one step closer to its goal of becoming a regional African airline. 22 July 2015. Air Mauritius upped their luggage allowance. From today economy class passengers can take two pieces of luggage weighing no more than 23kg each and business class passengers can take two pieces weighing 32kg each. 14 July 2015. Air Mauritius started flying Chengdu, China from the 6th of July 2015. This is their fourth Chinese destination. Since SAA cancelled their China routes, Air Mauritius is starting to look more attractive with free stop-overs allowed in certain instances. They also fly to Beijing, Shanghai and Hong Kong. 12 February 2015. Air Mauritius is allowing economy class passengers travelling to India from Durban 30 kg of checked baggage. Business class allowances stay the same. 9 February 2015. Air Seychelles and Air Mauritius have signed a codeshare agreement which will greatly benefit visitors to Madagascar and Seychelles as it gives a wider range of connecting flight options. 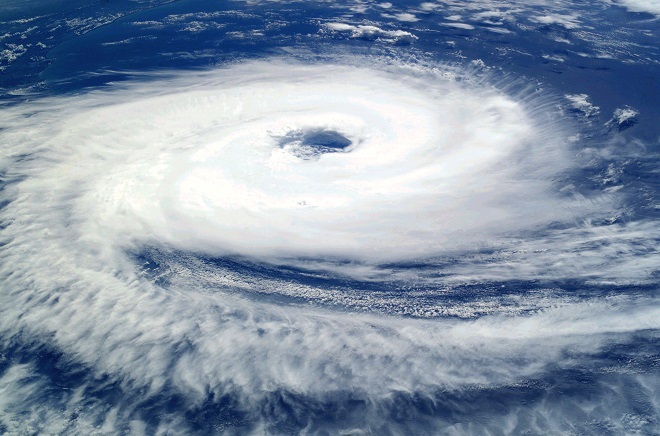 13 January 2015 : Air Mauritius had to cancel all their return flights from South Africa today as tropical storm Bansi brings heavy winds to the island. All passengers will be acommodated on other flights and can contact the airline or their travel agents for assistence. 13 February 2014 : Somebody's gotta do the dirty work: The grease monkeys at Standard Aero have been appointed to maintain Air Mauritius's Pratt & Whitney engines on their ATR72 planes. 2 January 2014. Flights cancelled as cyclone approachs : Reunion was hit by Tropical Cyclone Bejisa yesterday. Air Mauritius has rescheduled its flight to London as the cyclone approaches the island - MK042 has been changed to leave at 12h00 today, instead of 22h05. 21 November 2013. Admin Fee : From 1 December 2013 Air Mauritius are introducing an administrative fee of R500 for any refunds which need to be processed, whether by GDS, directly or BSP. 7 September 2013. The first Air Mauritius pax to check in at the new terminal building are Mr & Mrs Armance (appropriately given this is the honeymoon capital of the world, they're honeymooners). 28 August 2013. Air Mauritius Fuel Surcharge Change : From tomorrow Air Mauritius is changing its fuel surcharges. On the Cape Town to Mauritius route it will be $125, Johannesburg to Mauritius $120 and Durban to Mauritius $120. 15 Apr 2013. Air Mauritius cancels its flights to Rodrigues, as a result of cyclone Imelda. Dec 2013. Air Mauritius adds a fifth weekly flight from Mumbai (in addition to the 2 weekly flights from Delhi, 1 from Bangalore & 1 from Chennai). 8 Apr 2013. Air Mauritius's Kestrelflyers can now get 1000 miles when they rent from Sixt Car Rental (2000 miles if you use their limousine service). Kestrelflyer red and silver card holders can get up to ten percent discounts from Sixt, and Kestrelflyer gold card holders up to 15% off (and a possible upgrade). 1 Mar 2013. Air Mauritius launches an "UpgradeNow" service, which allows pax to upgrade to a higher class for a fee, a few days before departure. “We are constantly trying to find new ways to serve our customers better. ‘UpgradeNow’ gives a broader range of passengers access to the comfort and service of our business-class cabin and services. It is one of the new offerings that we are introducing as part of our objective to step up service.” said the Chief Executive of Air Mauritius, André Viljoen. 24 Jan 2013. Air Mauritius commences direct flights from Mauritius to Shanghai. 12 Sep 2012. Air Mauritius appoints Andre Viljoen as Chief Executive Officer, confirming a role he has held on an acting basis since Dec 2012. Viljoen was previously CEO of SAA from 2001 until 2004. 20 Jun 2012. Air Mauritius launches a new website: "We are delighted to be launching our new revamped website designed to reflect our brand, while projecting the image of a modern and innovative airline. Our e-commerce strategy is aligned to the growing demand of our customers for online products. We are continually on the lookout to enrich our offer, and our revamped website contains new features aiming to give a pleasant and efficient web experience to our customers. We now have the basis for further innovation and enhancements." said the Chief Executive Officer of Air Mauritius, André Viljoen. 14 May 2012. Air Mauritius quits flying to Milan. December 2012. Andre Viljoen is appointed acting CEO of Air Mauritius. 1995. Air Mauritius Limited is listed on the Stock Exchange of Mauritius. 1 Nov 1977. A B707 is wet-leased from British Airtours. 1973 A Vickers VC10 is wet-leased from BA to be operated on flights to London from Mauritius via Nairobi. Aug 1972. Air Mauritius leases a plane from Air Madagascar to start its own flights from Mauritius to Rodrigues (previously it provided ground services only). 14 Jun 1967. Air Mauritius Ltd is established as a JV between BOAC Associated Companies (owned 27.5%), Air France (owned 27.5%), the Mauritian Government (owned 27.5%) & Rogers & Co (which owned the remaining 17.5%). Rogers & Co were the sales agents for Air France & BOAC in Mauritius. Its Executive Director was John Linstead and it was based in Port Louis. Initial plans were to fly between Reunion & Mauritius. Book & pay for your Air Mauritius flight before the 15th Nov 2013, when their new prices come out. 1 October 2013. If you rent a car from Sixt car hire on the Air Mauritius website before 15 Dec 2013 you will earn 2000 Kestrelflyer Miles, and if you hire it or 7 days or more you get 3000 Kestrelflyer Miles. This cannot be combined with other point promotions. 24 April 2013. MRU to Barcelona from Rs39,450*; MRU to Birmingham from Rs39,900*; MRU to Frankfurt from Rs41,700*; MRU to Geneva from R39,400*; MRU to Lyon from Rs37,400*; MRU to Madrid from Rs39,500; MRU to Manchester from Rs40,000*; MRU to Newcastle from Rs40,000*; MRU to Rome from Rs39,650*; MRU to Zurich from Rs40,050*. Selected flights from 22 May 2013 to 27 June 2013. 20 April 2013. Air Mauritius specials. Mauritius to Singapore from Rs22197*, Mauritius to Cape Town from Rs21860**, Mauritius to Paris from R34523*, Mauritius to Kuala Lumpur from Rs21979*, Mauritius to Johannesburg from Rs15020**, Mauritius to London from Rs41877, Mauritius to Bangkok from Rs29881*, Mauritius to Reunion from Rs7383*. **Cape Town & Johannesburg flights are only valid for 1 adult when travelling with a companion. */** Prices subject to change, exclude service fees & are subject to currency fluctuations. Limited availability and conditions apply. If you do not find availability on your preferred travel dates, please try your search with alternative dates. The opinions expressed below are not those of South Africa Travel Online. Air Mauritius Limited is 51% owned by Air Mauritius Holdings Limited (in which the Mauritian Government has a majority stake), with the remaining 49% being listed free float on the Stock Exchange of Mauritius. In its business class Air Mauritius ofers 110 volt AC power outlets for laptops, but not in economy class. 2013-07-07 Beijing Flights Commence :Flights are launched from Mauritius to Beijing, in Airbus A340-300 planes once a week. Flight MK687 is scheduled to leave Beijing at 12h45 on Monday. Flight MK686 is scheduled to leave Mauritius on Saturdays at 13h40 and land in Beijing at 05h45 on Sundays. It opens new avenues for the consolidation of ties between our two countries and allows Mauritius to further tap into the opportunities offered by one of the world’s fastest growing economies.” said André Viljoen, the Chief Executive fo Air Mauritius. This creates the opportunity for 1-stop flights from Cape Town to Beijing and Johannesburg to Beijing via Mauritius. Kestrelflyer is Air Mauritius's frequent flyer program. Members can get discounts when hiring a car from Sixt. Air Mauritius South Africa website. Since 1 February 2012 Air Mauritius has been offering passengers the option of buying an exit seat (either next to or immediately behind the emergency exit door) on their A340 and A330 aircraft. The exit seats are sold per flight sector at check-in only and are on a first come first serve basis. Passengers who are either substantially blind or deaf, to the extent that they might not readily understand printed or verbal instructions from the crew. Passengers who do not speak English or French. Passengers in the exit row need to be able to understand safety instructions in case of an emergency. Passenger who because of physical stature, age or illness have difficulty with moving quickly. Children under the age of 15 (whether accompanied or not) and infants. Exit row seats are non-transferable. Passengers who have requested additional assistance from the airline, whether it be assistance to or from the aircraft, additional assistance on board, etc. See Air Mauritius for up to date details.